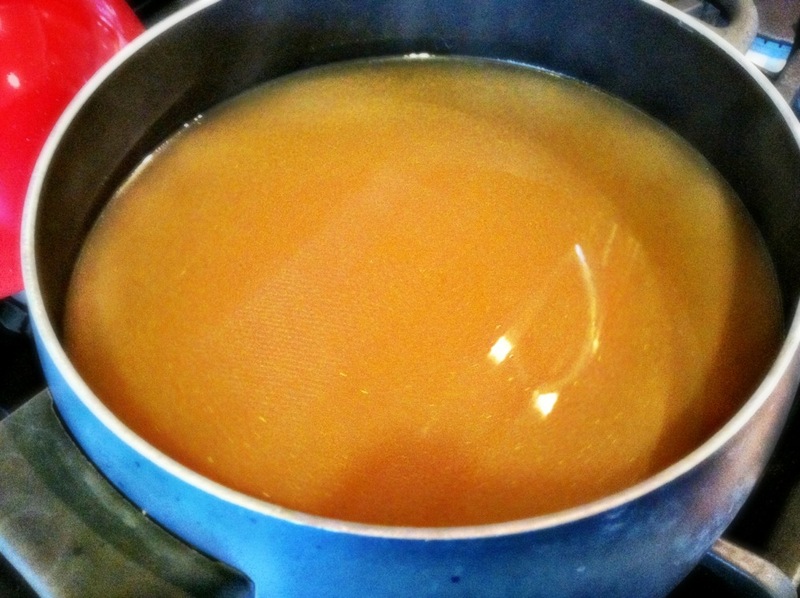 A random and really rewarding post on how to make your own veggie stock. 1 – Get a container that you can store discarded vegetable pieces in. Keep it in the fridge once in use. 2 – Get a garden, or if not, eat more veggies. 3 – Take all, and I mean all, discarded parts of any veggie (including corn) and put them in that container. 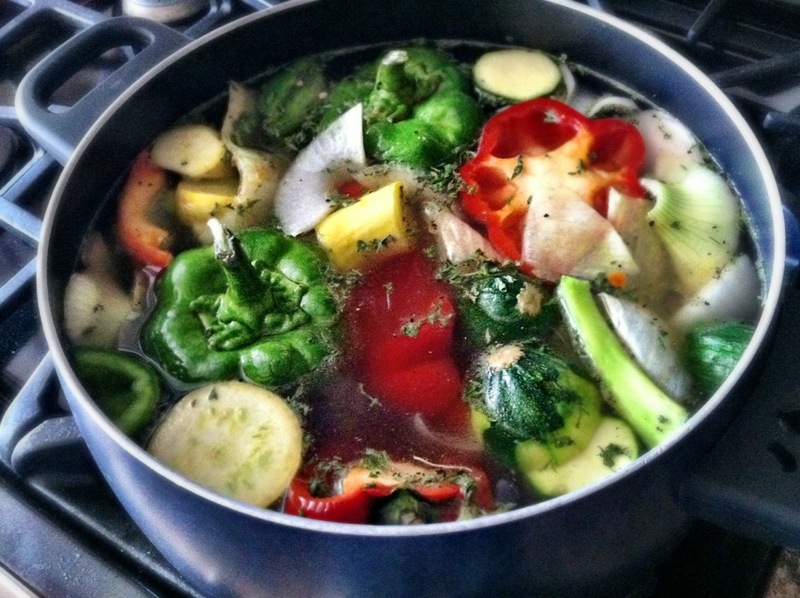 4 – Once full, dump them into a large stock pot and cook with a little bit of oil until the veggies sweat. 5 – Cover with water, bring to boil, cover, and cook for 60-75 minutes. 6 – Put another pot in the sink (or someplace you don’t mind spillage), put a strainer in that pot, then line the strainer with cheesecloth. 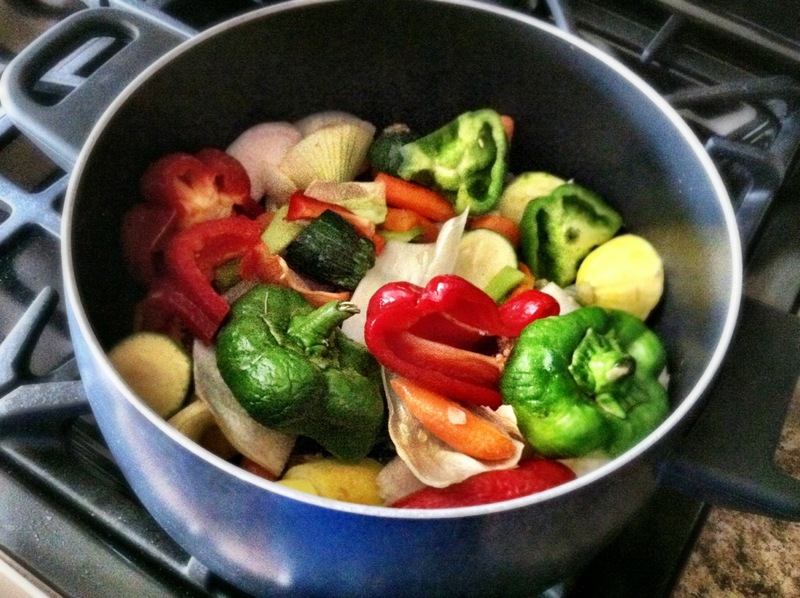 7 – Dump the veggies and liquid into the pot. Remove the cheesecloth and discard. 8 – Enjoy the stock and repeat. We have used the stock in all sorts of dishes, including soup, risotto, rice, general sauteing, etc. Note: don’t put anything that would add salt or other seasoning to the stock when making it, as you don’t know what you are going to use it for. You can season it once you use it.